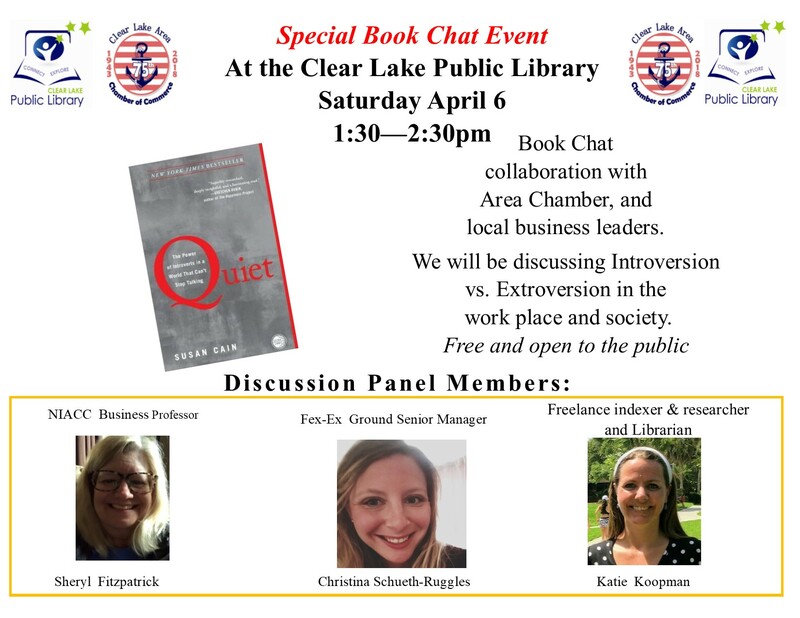 Free and open to the public, at the Clear Lake Public Library. A cross over book chat event, between the Area Chamber and The Clear Lake Public Library. We will be discussing Quiet by Susan Cain.